Android surpassed iOS in global smartphone marketshare ages ago, yet iOS still tends to get new apps and games before it. The easy critique is that bone-headed developers are still lovestruck with Apple. A more reasonable critic would acknowledge that developing software that can run on the countless Android devices out there is going to take more time and effort than supporting a single piece of hardware. Developer Game Oven Studios has posted a short vine clip that sums this up in just a glance. The team developed the Android version of Bounden alongside the iOS version, but they ultimately made the difficult decision to delay the game due to technical difficulties. 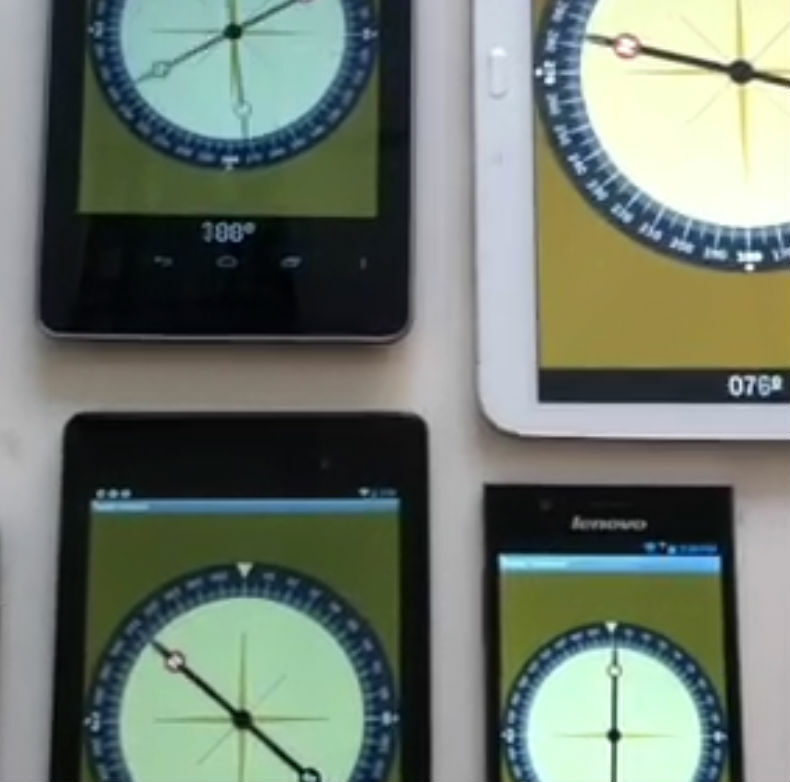 In the video above, we see seven different Android devices running the same Steady Compass app, and all manage to show a different direction for north. Some devices had broken gyroscropes, some were faking it by meshing accelerometer data with compass data, and others lacked a gyroscope entirely. For a game that relies heavily on moving a device around, this variation is understandably an issue. And since the team doesn't have the option to release the game only for devices with a "good" gyroscope, they're stuck with testing it out on whatever hardware they can get their hands on and whitelisting them until they have enough to make a reasonable launch. Or so they say. I'm pretty sure they just secretly hate Android.